It has been proved that wearing Rudraksha controlled heart beat and had a positive effect on Blood Pressure, Stress, Anxiety, Depression, Palpitations and Lack of Concentration. Additional statements indicate an anti ageing property by wearing Rudraksha and that the different 1 Mukhi to 15 Mukhi Beads have specific powers and have powerful Electromagnetic, Paramagnetic and Inductive properties that vary for different Mukhi or Facets. Those who have the problem of High Blood Pressure shall follow the instruction mentioned below to get Maximum benefit of the Rudraksh Beads. 1. Dip two Beads of Five Mukhi Rudraksh in a glass of water in night and let them immersed in water for whole night. 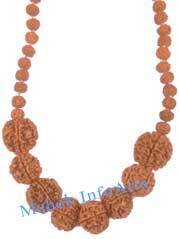 Drink the water of Rudraksh beads in the morning, before any other intake. You can use any metal for the vessel except copper. 2. 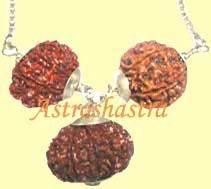 Those who suffers from anxiety shall keep big size 5 Mukhi Rudraksh with themselves and whenever they feel nervous, they shall hold them tight in their right palm for ten minutes. They will regain their confidence and their body would become stable. Auspiciousness And Inauspiciousness Of Auspicious (apportune) Moment.